Oh man, she graduated of what? Anyone knows? I hope she knows how crazy I am at home with my 5 years old during summer. I start to marathon GC, Vo Lam Ngu Ba’, Keyman, and songs” I’m too lost in you”. I am lost my mind now….hahaha due to too much video. wow, your daughter is 5 already, oh how time flies and we’re getting old. But really, how do you have the time for these oldies marathon? 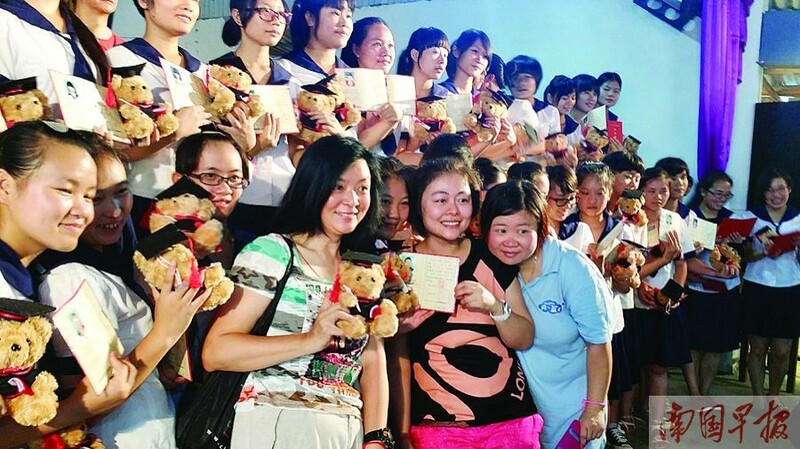 She only attended the graduation ceremony for these high school girls. the time she is on youtube watching for “wild draft” kid’s show, I sit next to her, but watching my oldes idy’s series. OMG, I am watching “love me love me not” which I just ordered the DVD online 6 months ago. Finally I have time to watch it now. Oh, I did not realize how funny it was before. Some how this time it struck me. I laughed so hard when hearing ‘weird’ translation and dialogue between Idy and other characters. By the way, Idy looks much younger than her age and probably looks younger than ME!. So happy to see her living happy and healthy. Yup, my little MAYLINH will be turn in 5 year old in July 1.
that’s very clever that you’re also occupying your baby with her kid shows while you’re enjoying your tv oldies (which she’d probably never understand or have any interests). “Love Me, Love Me Not” has a good storyline, but i’m turned off by the bad dubbed voices of many characters. TVB’s recently pushed out lots of oldies out on its stream service app GoTV, but too bad they only stream within HK. It’s the STRESS that make us feel old and look old… argh life is hard. I guess Idy finds happiness through her charities and not stressing herself much. So, how is your life? 12 years of stupid marriage + 8 years dating = HALF of wasting MY LIFE. congrats to these lucky high school students!! P.S how are you Sakura?